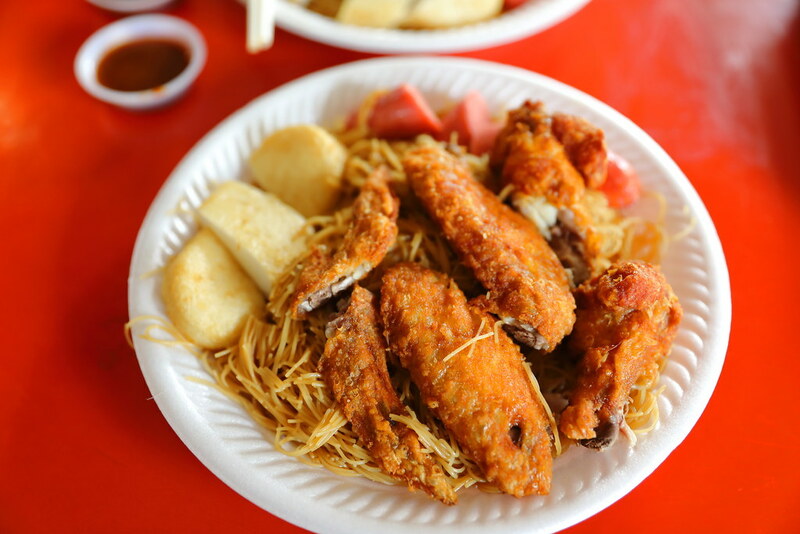 Do you still remember the fried chicken wing stall at Redhill hawker centre which Prime Minister Lee Hsien Long has queued for 30 minutes for it? 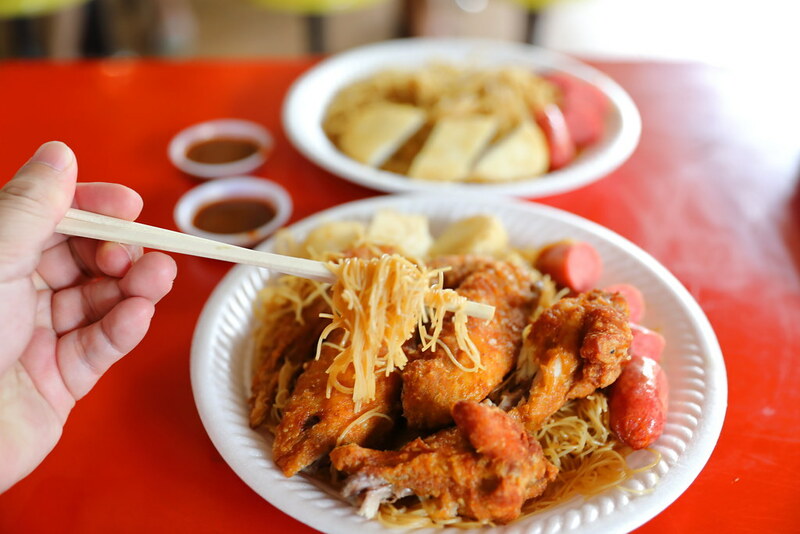 If you have been back to the stall at Redhill hawker centre, you will probably noticed that the uncle selling the chicken wings is no longer there, and it has changed hand. 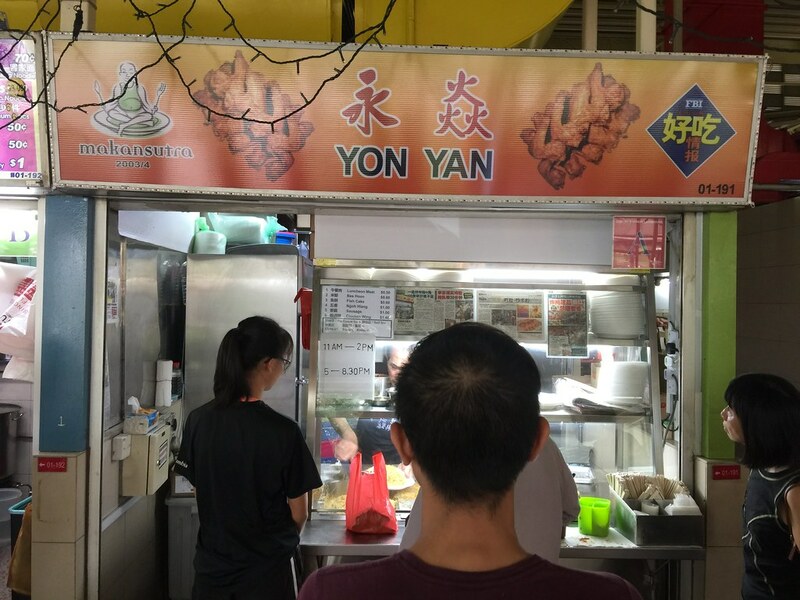 Apparently the uncle is forced to quit due to illness, and after half a year of treatment and resting, it has decided to make a come back at West Coast Market Square, naming his new stall Yon Yan (永焱) . The Fried Chicken Wing ($1.40 each) here is definitely the hot seller and the stall uncle only fried a small batch one at a time. While that increases the queue time, it ensures that the chicken wings are hot and fresh. The batter that coats the chicken wings are flavourful and crispy too. While the chicken wing was juicy, i thought it didn't quite absorb the marination. The meat tasted a little bland compared to the skin. 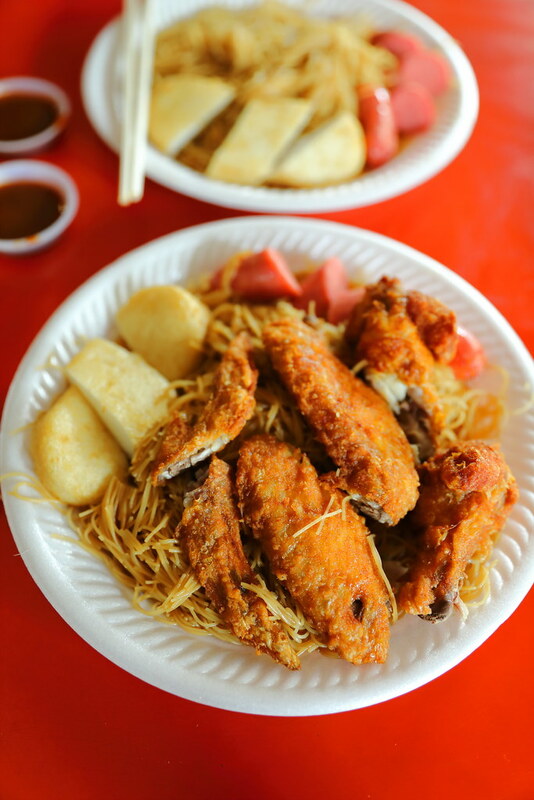 A plate of Bee Hoon at Yon Yan is priced at only 60 cents. This has not change for more than 10 years. Taste wise, I find it rather bland and texture was a bit too soft and wet for my liking. 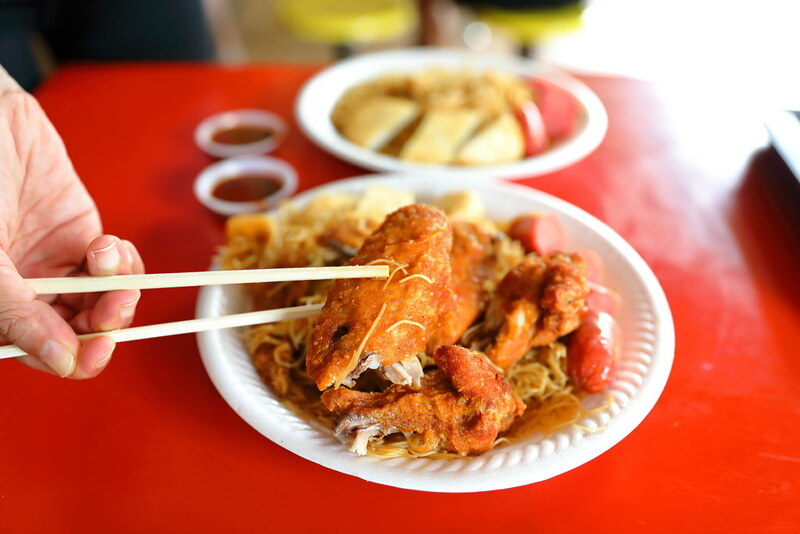 Besides the fried chicken wing and bee hoon, the stall also sells other items such as Luncheon Meat, Fish Cake, Ngoh Hiang and Taiwan Sausage to along with the plate of bee hoon. The stall facing the main road constantly has a queue, at the moment the waiting time probably is about 10 to 20 minutes. As words get around, I suspect the waiting time will be even longer.